Beautifully hand painted Holly Flower Fairy figurine. Optional gold string and wire pick included for securing in your display. Comes in a plain white box, not display box.er. 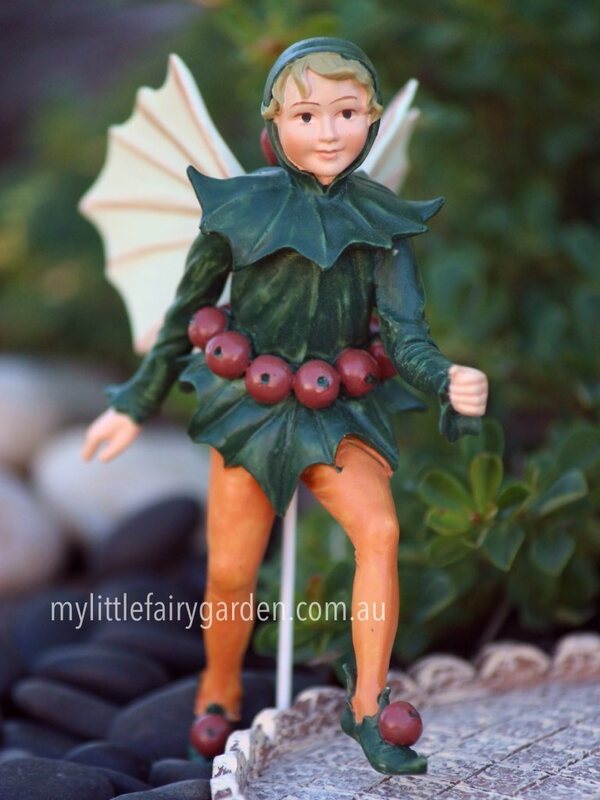 The Holly Fairy, a roving jester with bells on his hat and shoes, tours the Flower Fairy Courts. Dazzling his regal audience with amazing juggling displays, he capers and clowns until the royal onlookers ache from laughter. Beautifully hand painted Holly Flower Fairy figurine. Optional gold string and wire pick included for securing in your display. Comes in a plain white box, not display box. As the scarlet Holly Berry?